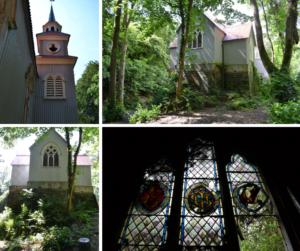 Constructed from corrugated iron, the Tin Church in Laragh has had an interesting life, from construction, de-consecration, dereliction, conservation and now it’s re-use as a vibrant space cherished by the community and visitors alike. It is now a protected structure of national importance and has profile which enhances and provides a focus in the village. In this podcast, recorded in the church, you will hear from the people who saved the church and brought it into the heart of their community, and from heritage specialists who advised along the way.